At the 2018 IPCPR Trade Show, there was a new company called DAV Cigars that was in attendance. The company is owned by Valot Atakhanian and Armen Caprielia. Up until that point, DAV Cigars had been focusing on the Eastern European and Russian markets, but last year decided to turn its attention to the all-important U.S. market. The brand produces its cigars out of the Dominican Republic and currently offers five lines. 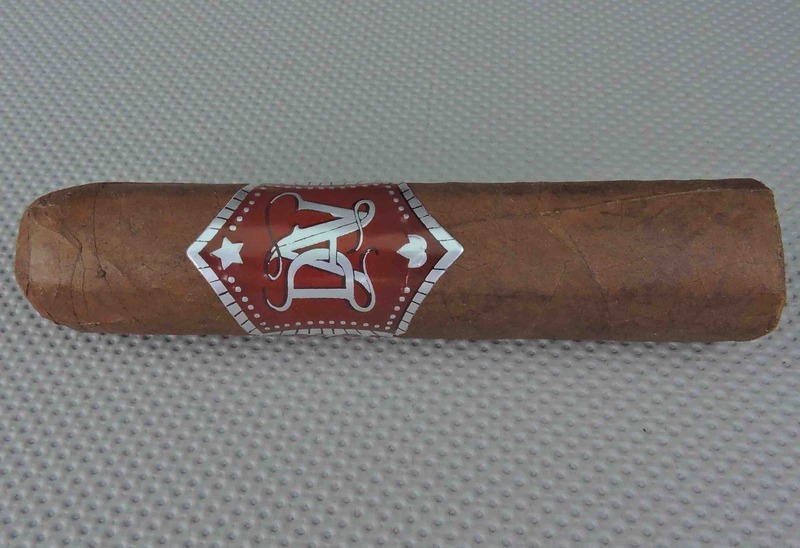 Today we take a closer look at one of the lines, the DAV Habana Clásico line in the Fumanda Corta line. Without further ado, let’s break down the DAV Habana Clásico Fumanda Corta and see what this cigar brings to the table. In addition to an Ecuadorian Habano 2000 wrapper, the remainder of the blend of the DAV Habana Clásico features all Dominican tobaccos. The Ecuadorian Habana 2000 wrapper of the DAV Habana Clásico Fumanda Corta had a medium brown color with a darker rosado tint to it. There was some mottling on the surface of the wrapper. The wrapper also had a very light sheen of oil on it. There were also some visible veins as well as some minimally visible wrapper seams on the surface. The band of the DAV Habana Clásico has a red background along with silver trim and silver adornments. On the center of the band is the company logo “DAV” in large silver font. A straight cut was used to remove the cap of the DAV Habana Clásico Fumanda Corta. A 60+ ring gauge cutter was used to make the cut. Once the cap was removed, it was time to commence the pre-light draw. Notes of sweet fruit, floral, and nut were present on the dry draw. Overall this was a satisfactory pre-light draw. At this point, it was time to light up the DAV Habana Clásico Fumanda Corta and await what the smoking experience would have in store. The DAV Habana Clásico Fumanda Corta started out with some heavy cedar notes, some dark fruit, and a slight amount of black pepper. The cedar notes would settle down in the background. Concurrently, the fruit notes became primary early on and at times exhibited almost a candy-apple-like sweetness. Meanwhile, the cedar and black pepper became secondary. The retro-hale exhibited some of the fruit sweetness and mixed wood. Later in the first third of the DAV Habana Clásico Fumanda Corta, the fruit sweetness became more in the way of a natural tobacco sweetness. Meanwhile, the cedar and black pepper remained in the background. As the cigar moved through the second third the earth notes increased in intensity, and the natural tobacco sweetness diminished. Past the midway point, the earth notes became primary. While there still was natural tobacco, cedar, and pepper in the background, this cigar didn’t have the sweetness nor spice that it had early on. This is the way the cigar experience of the DAV Habana Clásico Fumanda Corta remained until the end. The resulting nub was cool in temperature and slightly soft to the touch. While there was some jaggedness on the burn line of the DAV Habana Clásico Fumanda Corta, I didn’t find the cigar was ever in danger of seriously meandering off its burn path. The resulting ash was light gray in color and skewed toward the firm side. As for the burn rate and burn temperature, both were ideal. I found the draw of the DAV Habana Clásico Fumanda Corta performed extremely well. 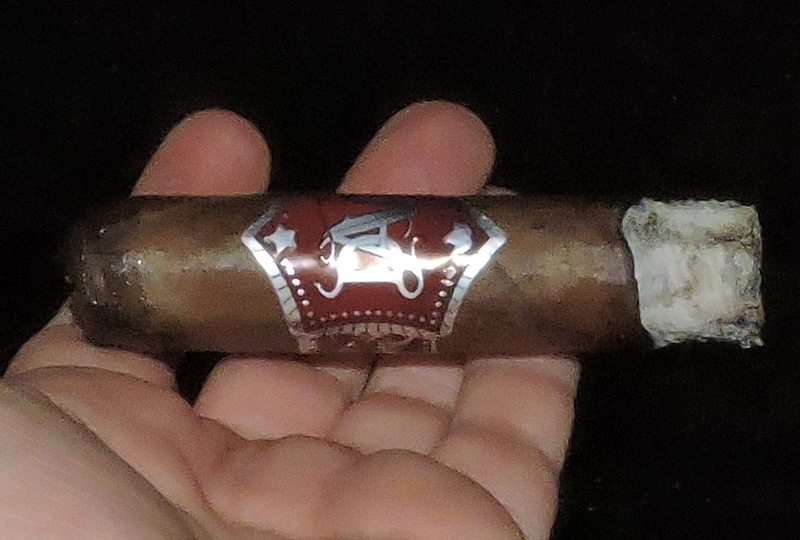 This was a cigar that had a touch of resistance to it – which is something that I like. At the same time, there was no problem deriving flavors from the DAV Habana Clásico Fumanda. In terms of strength and body, the DAV Habana Clásico Fumanda Corta performed at a solid medium. I actually found the intensity levels of both the strength and body to be at the greatest toward the beginning of the cigar. While both attributes had a slight decrease in intensity, they remained in the medium range. At the same time, the strength and body balanced each other nicely with neither attribute overshadowing the other. For each of the DAV Habana Clásico Fumanda Cortas smoked, the cigar started out with some nice flavor. As the sweetness and spice diminished with this cigar, it seemed to go flat. While it wasn’t a bad cigar, it didn’t have a “wow” factor. I am one who enjoys a 60 ring gauge cigar – especially in a shorter format, but this cigar fell short of my expectations. At the same time, I am curious to see how this blend smokes in some of the smaller ring gauges as I think it has potential. At $6.50, it’s certainly an affordable cigar, but at the same time, there are plenty of cigars in that price range. My advice is if you can try a sample first, go that route and see if the cigar is a fit for you.